How you getting along. I am well. Martha(,) Santa Claus is coming soon. you better be good or he will take you along. Best Regards from Tillie to all(.) answer soon. tell your Momma that she write me a letter ore (or) Postal Card. I like my place awful good. Boy, this vintage postcard message missed its intended purpose by a mile. I certainly wouldn’t be threatened by the possibility that Santa Claus would “take me along”. I’d probably be bad on purpose. Can you imagine riding in Santa Claus’ sleigh? Or seeing his reindeer? 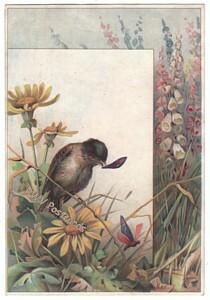 The other thing I noticed in this postcard message was Tillie used “Postal Card” rather than postcard. 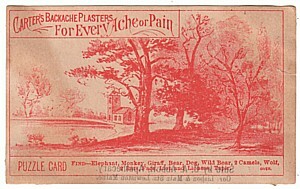 Maybe that was the accepted name for this type ephemera back then. 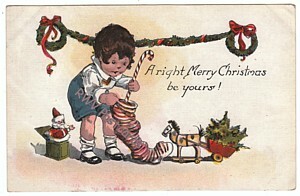 ** More great antique and vintage Christmas postcards available in my store, Remember When Vintage Postcards.